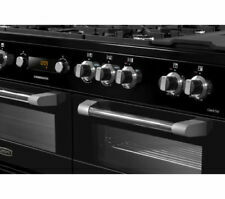 Technical specifications for KENWOOD CK305-1 dual fuel Range Cooker - Black. - Kenwood CK305-1 Dual Fuel Range Cooker. 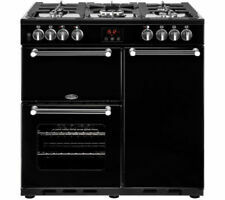 Freestanding dual fuel range cooker. Width (slider). Oven cleaning. Main oven shelves. Fully Working Condition and Fully Cleaned. Excellent condition, includes all of what you see. Not broken just being replaced. Freestanding dual fuel range cooker. Width (slider). Main oven shelves. Oven cleaning. Pan supports. Number of burnersHob type. Number of ovens. Number of grills. The KenwoodCK305-1 Range Cooker gives you an amazing 118 litres of oven space. 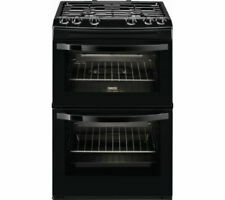 Bake more, cook larger roasts and beautiful casseroles with ease in this impressive electric oven. A large 3.5 kW triple burner is included to accommodate woks and similar large vessels, just the ticket for whipping up large stir fries and authentic Asian-style dishes. 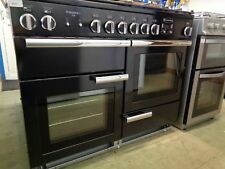 BARGAIN KENWOOD GAS COOKER AND USED COOKER HOOD. 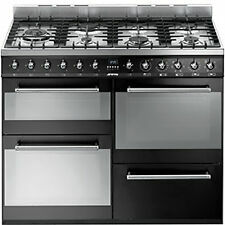 Kenwood Ck305-1 90cm Dual Fuel Range Cooker 5 Burner Hob in Black #2167. Condition is Used. One hob needs to be lighted using a lighter. This can be easily fixed by someone who knows what they are doing. Immaculate condition. Only selling as we are getting a kitchen refurb and getting a fitted in one as part of our kitchen. Buyer to collect. Brought in 11/2017 and can ahow reciept upon request. Was purchased brand new from currys.